Coming Soon: HECTOR AND STEELE–Excerpt and Giveaway! Hi there! Today I’m excited to share a new contemporary M/M police romance from AC Katt. 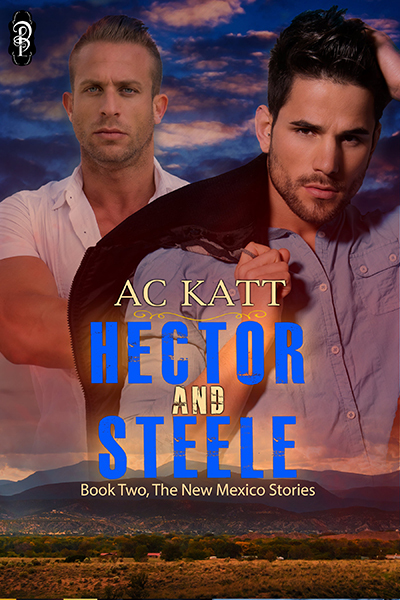 HECTOR AND STEELE is the second book in the New Mexico series, but can be enjoyed on its own.It actually releases tomorrow, so feel free to preorder away! Catch the excerpt and enter the giveaway below! Growing up with drug-dealing, addict parents hasn’t been easy for Matteo and Felipe. When their father finds out Matteo is gay, he ejects him from the house and into the arms of county sheriff Hector Gomez, who decides to foster him. Unfortunately, Matteo is forced to leave his younger brother to the not-so-tender mercies of their parents. But, during a DEA/FBI raid on their parents’ home, Felipe is turned over to the Children, Youth and Families Department, and Hector decides to foster Felipe, as well. Fostering two boys is full of challenges. But, Hector and his roommate FBI agent Steele Adams, love them. And in the process, discover their love for one another. The new family is fine…until the parents get out on bail. The kid turned his head toward the little boy still crying at the door. “Felipe, don’t get into trouble. I’ll come get you. I won’t leave you alone for long.”Hector Gomez answered what he thought to be a domestic violence call. The neighbor who called it in sounded hysterical. As the Sheriff of Sandoval County, he took too many calls for domestic abuse. They usually involved alcohol or drugs but something in his cop’s gut told him this was different. He pulled into the driveway, got out of his Explorer, and saw a wild, glassy-eyed man standing on the rock-strewn lawn, waving a gun, and beating a ten-year-old kid about his body. The man wasn’t drunk, he was high. He had the kid on the ground, kicking him in the ribs, groin, and legs with steel-toed boots. The gun waved threateningly in the child’s face, which the kid tried to protect with waif-thin arms. Wow. This one sounds intense. Interested? 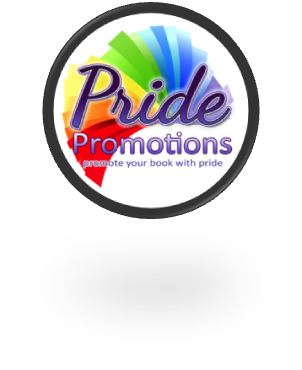 You can find HECTOR AND STEELE on Goodreads, Decadent Publishing, Amazon, AllRomance, and Smashwords. Click on this Rafflecopter giveaway link for your chance to win both books in the New Mexico series. She hangs out on line on her website, blog, Pinterest, Facebook and twitter. To get snippets of new releases and Works in Progress subscribe to AC Katt’s Kattery by sending an e-mail to mlhansel@gmail.com. Best of luck to AC! Congratulations on the release and looking forward to reading it! Love the little taste!